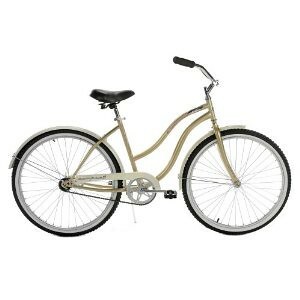 If you are interested in a old school biking experience, then a Cruiser bike is just what you need. If you can imagine in your minds eye the traditional bikes of the 1930’s or 1940’s, this is exactly what you will be envisioning. No need to speed here, just a smooth biking experience. The Cruiser is your standard, heavy duty bicycles that are built for comfort and not speed. Thankfully, they still make this brand of bike and the Huffy Newport (sporting 26 inch wheels) is a great model to purchase. 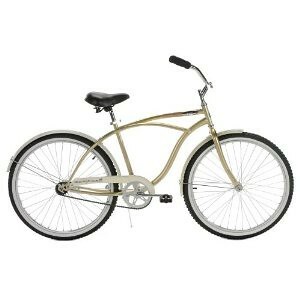 This particular style will run you about $120 and it is a exceptionally durable bike that will last a good long time. The Cruiser bike differs from other cycles in several key areas. First, the bike tends to be more weighty than other bikes of it’s size and are generally made of steel. Also, the rider sits upright as opposed to the hunched over stance you will see Lance Armstrong assuming. Further, the Cruiser bike has only single speed mechanics. Therefore, you would not be using this bike to ride steep hills or over long distances. Rather, a leisurely roll through your neighborhood or local park is the perfect venue for this cycle. The Huffy Newport has old fashioned styling (including whitewall tires) which makes for a very cute ride. The padded seat is super comfortable, which makes longer treks easier on the body and the rear coaster brakes make stopping trouble-free. Many people who purchase this style of bike also buy a basket for the front of the bicycle, to complete the conventional theme. Just imagine tooling around town on this bike with a small dog or big snack in your basket! Of course, you will want to make sure you purchase a helmet to go with your new ride. While this was not de rigueur back in the heyday of this bicycle, it certainly is a wise accessory nowadays. This Huffy Newport also features a lifetime warranty on the frame and a six month warranty on all other apparatus of the cycle. While there may be some assembly of the bicycle, especially if purchased via the internet, this should not prove to be problematic for most folks. Simply follow the included instructions as precisely as possible and use the correct tools for the job. If you run into any trouble at all, you can always log on to the Huffy website for additional guidance.